Every month we want to bring to your attention a quality load carrier that we are convinced can add value to your supply chain because of its great features and benefits as well as its temporary extra-ordinary low price. Maxilog® Palletbox 1200x1000x760 mm with 3 runners. 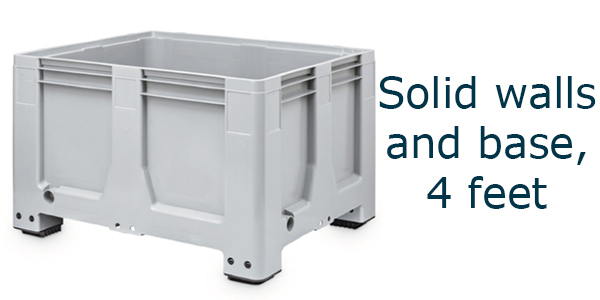 The MaxiLog® is a versatile, lightweight and robust pallet box made of virgin HDPE. Although it is especially designed for the food and food-processing industry, this pallet box is perfect for all kind of industries. The smooth inner surface makes it simple to empty and easy to clean. 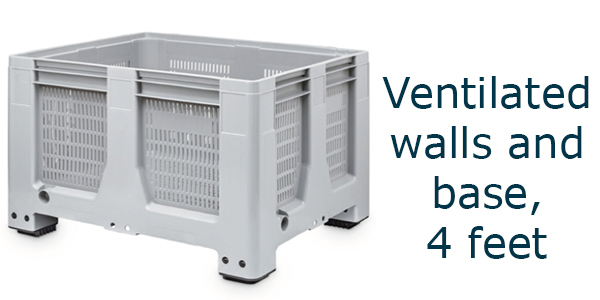 The MaxiLog® is suitable for conditioned transport and warehousing and can carry up to 450 kilograms or 610 litres. Because of its static capacity of 4.500 kilograms, it can be stacked up to ten high. A perfect solution for optimal storage. The MaxiLog®-range is available in a ventilated (open) or solid (closed) version, with or without runners, and lids are optional. Despite the different versions in this pallbox family, they all have the same thing in common; they are on average 10 kg lighter than their predecessors and the competition. This saving on weight means at least 1 tonne less weight can be transported in a full truck, which has a positive effect on your cost and carbon footprint. 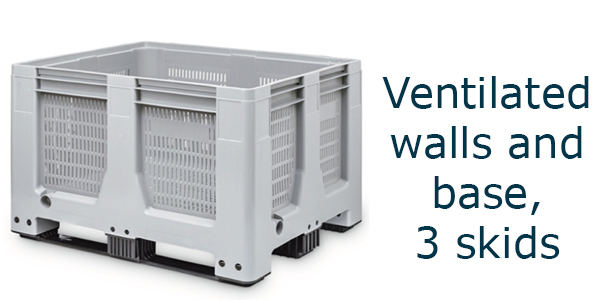 So are you looking for a multipurpose, easy to handle transport and storage solution for bulk goods? 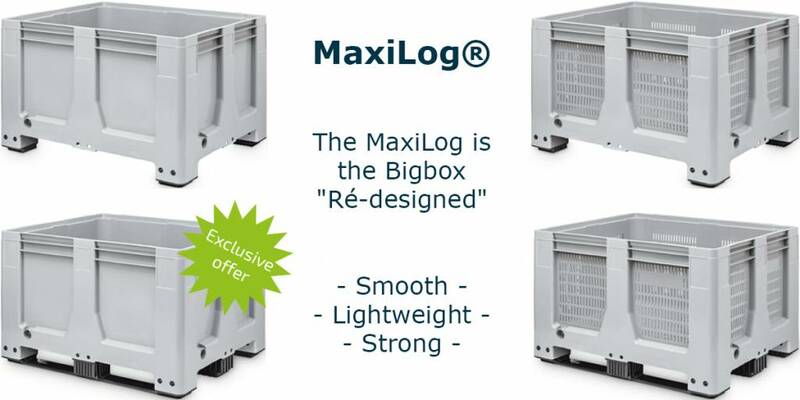 The MaxiLog® is your answer! 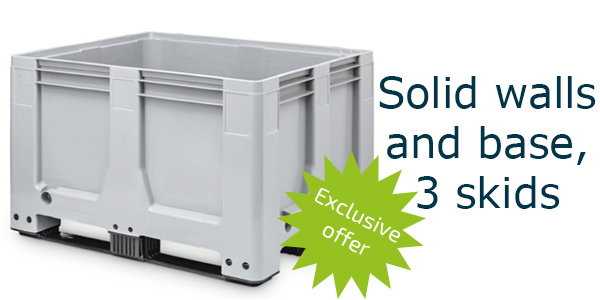 The Maxilog® Palletbox 1200x1000x760 mm with 3 runners is now available in the Contraload Webshop for an exceptional introductory price until 31/12/17. And don’t delay in taking advantage of our launch offer that will end 15/12/17 to save an extra 5% on your first order. Get it if you need it!